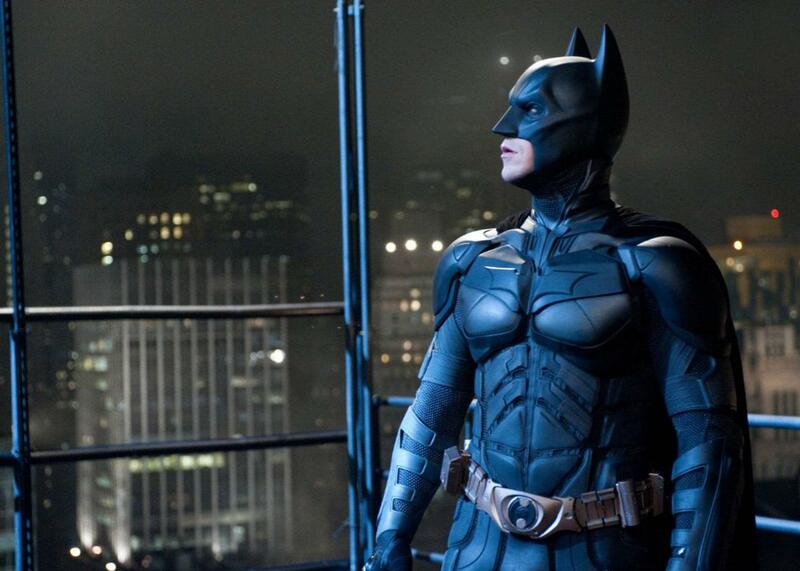 Christopher Nolan, Batman: What did the director get wrong in his films? What Did Christopher Nolan Get Wrong in His Batman Films? Christian Bale in The Dark Knight Rises. Photo by Ron Phillips/Warner Bros.
As someone who loved Christopher Nolan’s Batman films (Batman Begins, The Dark Knight, and The Dark Knight Rises) and considers them to still be the best superhero films of all time (I personally rank them in the Nos. 1, 2, and 3 spots on my list of the greatest superhero movies), there isn’t much about the films that I dislike. However, that doesn’t mean there aren’t things in the films that I feel were ultimately either less ideal characterizations or depictions or that might not have worked quite as well as some other choice could have possibly worked instead. But I really want to stress that as of today, these films are “my” Batman; they are the closest thing I’ve ever seen to my ideal perfect approach to bringing Batman to life in live-action cinema, and Batman Begins is probably the single best Batman story ever told in any medium, as far as I’m concerned. One of my biggest personal complaints about the Nolan films is also one of the most complicated, because it gets to the heart of what I love about the films yet also where they come most into conflict with certain core Batman mythos. The Nolan Batman films are very grounded in a sense of faux-realism (particularly The Dark Knight), which is one of the best things about them and part of what made them so wildly popular. By depicting Batman within a more realistic world and trying to imagine what it would be like to try to take this character and reimagine him as he’d look as close to “real” as possible, it was necessary to put him in a costume that tried to make it clear he wears body armor and can withstand the injuries he sustains during his mission. Well, the downside of that is that he looks like a really tough guy in an armored suit, which completely undermines the notion he’s some sort of creature of the night to be feared among the criminal underworld. The costume in The Dark Knight took on such a degree of complex armoring and design features that only the mask and cape bore any serious resemblance to the scary, demonic sort of figure Batman pretends to be. Not that anyone has to literally think he’s a giant bat or monster, but there is supposed to be some mystery as to his true nature and a sense that his costume might be hiding someone who is more than a mere mortal man. The more his costume is obviously just armored battle gear, the less it projects the subconscious impression of him as a dark force of nature. Granted, if you’re a criminal and a guy in full-body armor comes after you, then there’s still a certain degree of concern and fear, especially if he’s really good at fighting. But if you know he won’t kill you, and you know he is just a guy wearing armor who is really good at fistfights, then that isn’t quite the same as a guy in a dark outfit that isn’t overtly even armored who acts like he might throw you off a building and who seems to fly around in the shadows. The impression of Batman’s appearance matters a great deal, and I think Batman Begins managed a perfect balance between realistically depicting the need for armor without losing the weird and dark impression he made when people saw him. The Dark Knight went a step further, to intentionally generate an impression of an actual “knight in armor” (thus the chainmail and the heavy armored shoulders, for example), and in doing so went too far toward projecting extreme “realism” while losing sight of Batman’s mythical nature. So while I love the films, love their faux-realism, and even very much like the batsuit of all three movies, this is one area where I think it could’ve maybe been done a little better—a suit with less patchy armor appearance, for example, where the armor plates were larger pieces instead of being broken up into so many smaller ones, letting us see more of the chainmail underneath on the arms and legs perhaps. So I am glad to see they’re doing differently in the next onscreen iteration of Batman. Lucius Fox is a wonderful character in the films, as is Alfred, and both work great for imparting news, ideas, objections, and wisdom to Bruce/Batman. I fully appreciate the idea that this is a Batman who we are watching learn and grow into his role and enjoyed it as a different take on the character. That said, I think the films went a bit too far in portraying Batman as constantly having to learn to the point that he doesn’t understand the Joker and his butler has to explain it to him. Batman expresses some shockingly limited and simplistic impressions of what motivates criminals and how to figure them out sometimes—too often, in fact. He shouldn’t just be relegated to being one guy on a team, where Alfred is the thoughtful one who understands criminals and the world, Fox is the technical genius who arranges everything and keeps the missions supplied, and Batman is just the soldier who goes out at night to beat people up. But at times, it sort of felt like Batman’s role was primarily as a street-level enforcer, and Bruce’s detective skills seem to rely far too much on input and help from Alfred and Fox. Again, I realize this is an attempt to tone down the extreme comic book presentation of Batman as some sort of nearly clairvoyant detective, by showing us a man who is smart and can solve crimes but who needs help and guidance in that work. The result is to spread out his abilities among all three people—Alfred, Fox, and Bruce—to make it more believable that these great talents could exist and allow Batman to be sort of a team effort. It’s a completely interesting, more realistic, and valid interpretation of the character, but I think it would’ve worked better if it had been done in a way that shows Bruce mostly the master of the detective work and analysis, and where he only occasionally needed wisdom, guidance, and assistance from the rest of the team. The new film will, I am told, have a Batman who is much more a veteran detective with immense brilliance at multiple skill sets and with less reliance on other people to fill in the gaps. While I don’t think Nolan’s films totally “got it wrong” in this regard, I think it went further in the other direction than was necessary, so I’d prefer a little less of that this time around. The Nolan films are meant to be a self-contained version of Batman, a myth that had a beginning, middle, and ending. Bruce Wayne doesn’t want to be Batman forever, and Batman is a persona handed down to a new generation eventually. As a different approach to Batman and new way to imagine his history, it works in its own context and is a fantastic trilogy and wonderful character arc. I’m glad it exists as it does and understand exactly what Nolan was trying to achieve. However, it also means that a huge list of other characters and significant parts of the Batman mythos was left out and never took place in the Nolan Batman’s world. A key part of that is the Joker as Batman’s arch-nemesis, with whom Batman has an endless battle as if the two are—as the Joker even says in The Dark Knight—destined to do their tragic dance forever. The Joker’s story in that film could be said to summarize his entire relationship with Batman and their fight for Gotham’s soul as completely as any further confrontations could ever hope to live up to, and that any additional meetings between the characters is irrelevant, pointless, and unnecessary. And cinematically speaking, within the Nolan trilogy, that may be true. But that history and that relentless, endless battle that neither can ever win is such a significant part of the Batman myths, it’s hard to just let it go. True, we were probably going to see more of the Joker and the development of that endless cycle of hatred and violence, had Heath Ledger not passed away so unexpectedly. But even had Nolan returned for a third film with Ledger’s Joker, it’s likely that movie would’ve still been crafted to bring the Nolan Batman to a conclusion, since the filmmaker didn’t want to get stuck doing more superhero films and felt he was already on the verge of telling as much of that world’s story as he wanted to tell. So for the next film incarnation of Batman, we need to see—and indeed, we will definitely get—a world in which Batman and the Joker have fought their battles a very long time, and both carry deep scars and burning hatred. Nolan’s Batman and Joker had a relationship so intense and brilliantly depicted in their one encounter that it’s hard to imagine anyone matching that dramatic level of excellence. If anyone can hope to match it, though, I think Ben Affleck and Jared Leto look like they just might have a pretty good shot. To sum up, then, I suppose I don’t think I’d go so far as to say the Nolan films outright got anything “wrong” and instead feel that they perhaps in a few cases went a little further down certain roads and stylistic choices than I think was necessary or ideal. But it’s important to note that all of this has to be seen in context of the overall approach and trilogy and that each of these decisions had very specific reasoning behind them, and I appreciate it all as a different and unique approach to reimagining Batman in live-action. And no matter how much I might end up loving the new Batman on film, the Nolan movies will be pretty hard to top as my overall favorite approach to a grounded Batman set in a more realistic world without other superhumans and fantastical distractions. Movies: In movies, why don’t the cool guys look back at explosions? Batman v. Superman: Dawn of Justice: Why did Robin’s suit have graffiti on it in the new Batman v Superman trailer? Why are there strong hints of the Joker? Batman (creative franchise): What makes Batman such a compelling character?